This Section is tasked with the responsibility of receiving and investigating complaints of alleged or suspected corrupt practices that are made against any person (S.10(1) (b-f). The aim is to enforce the law vigilantly and professionally in order to seek out and eradicate corruption wherever it exists. After completion of investigations, the Commission refers appropriate cases to the Director of Public Prosecutions for prosecution. This is in terms of section 10(1)(b) of the Prevention of Corruption Act, 2006. However, some complaints of purely criminal nature are referred to the Royal Swaziland Police Service for their action; others are referred to relevant institutions for their appropriate action. The Investigations Section investigates all pursuable reports. 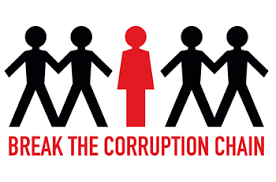 The continuing upsurge in corruption reports in different sections of the country’s economy has aroused much public concern. There is an urgent need to reinforce investigative capability and improve the overall service quality of the Operations Department so as to cope with the all-time record corruption reports anticipated and to address the increasing complexity of corruption and related crimes. Professionalism is one key requirement for all the staff at the Commission and the Commission will keep enhancing the professionalism of the investigative workforce and promote continuous professional development through different programmes such as seminars, workshops, experience sharing groups and residential training sessions.